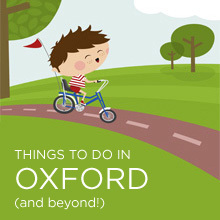 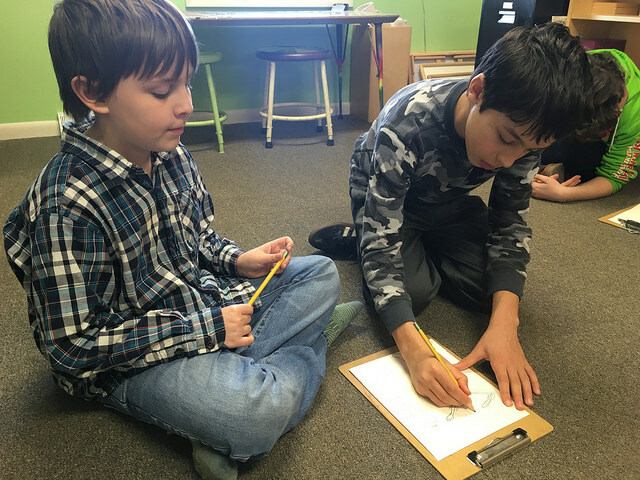 ← Spiders, crustaceans, worms, and more! 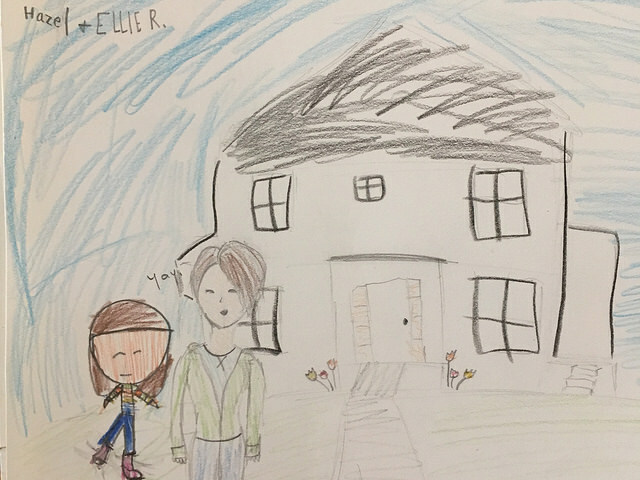 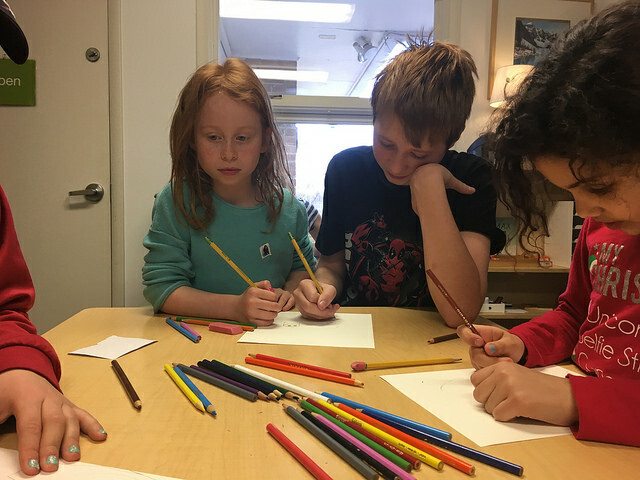 Last week Lower Elementary students met with their Middle School partners, and together, they completed Lower Elementary’s monthly self-portraits. 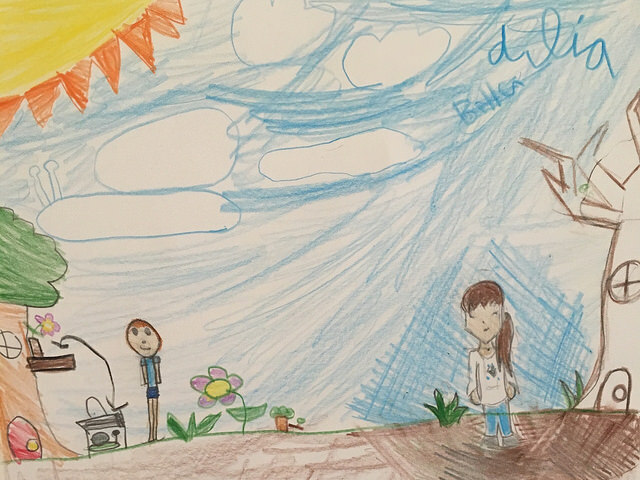 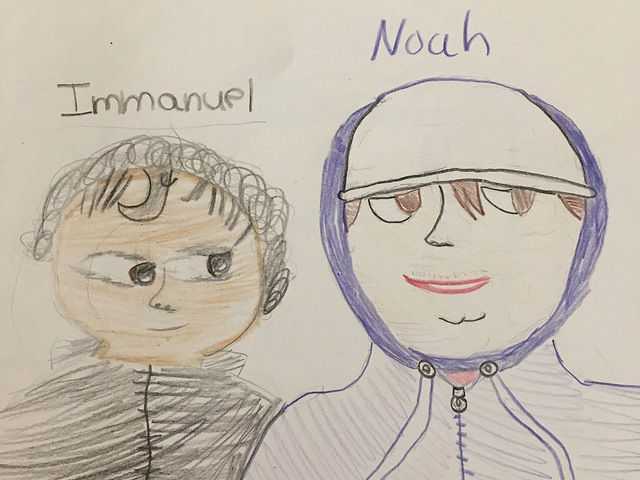 Lower Elementary students drew themselves as usual, and then their Middle School partners added themselves into the pictures, too! 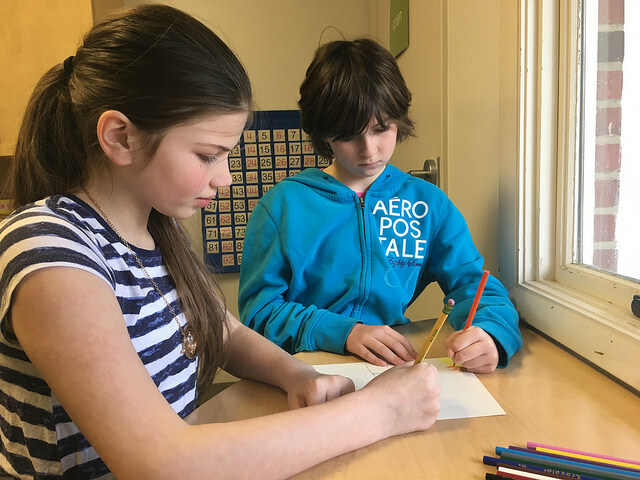 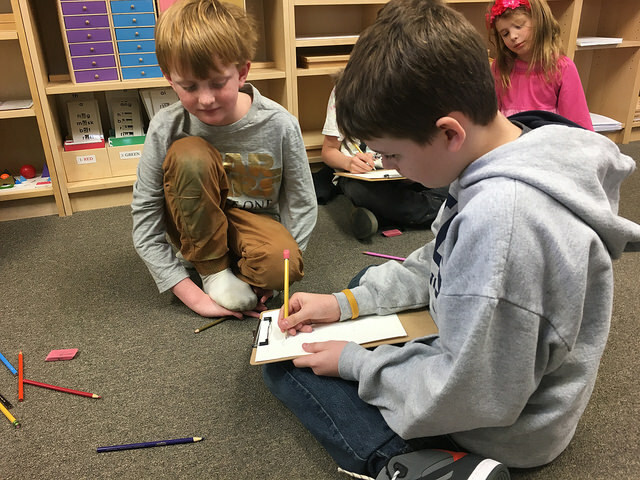 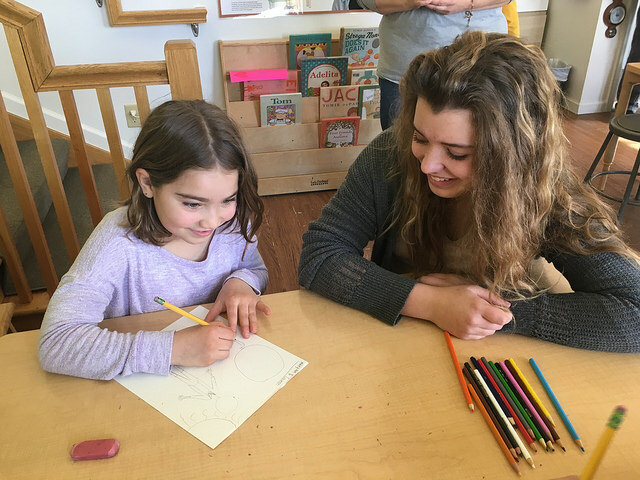 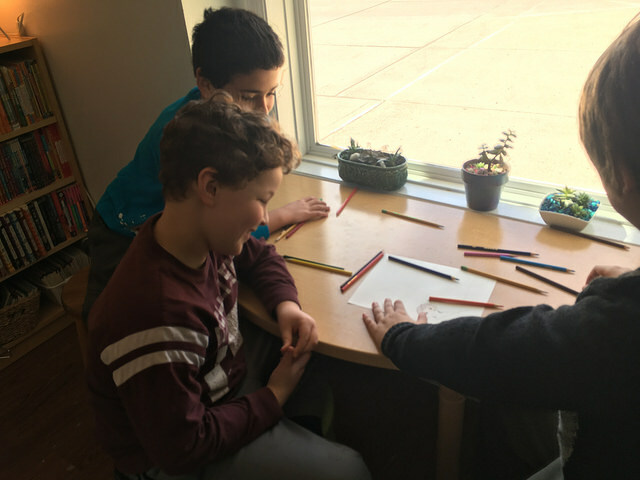 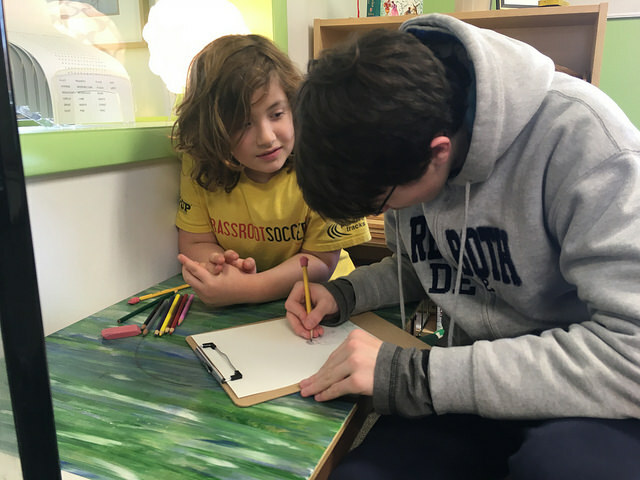 Not only were all of the students thrilled to spend time with their partners, but they were also excited to find interesting ways for their own drawings to interact with and complement the drawings of their partners. 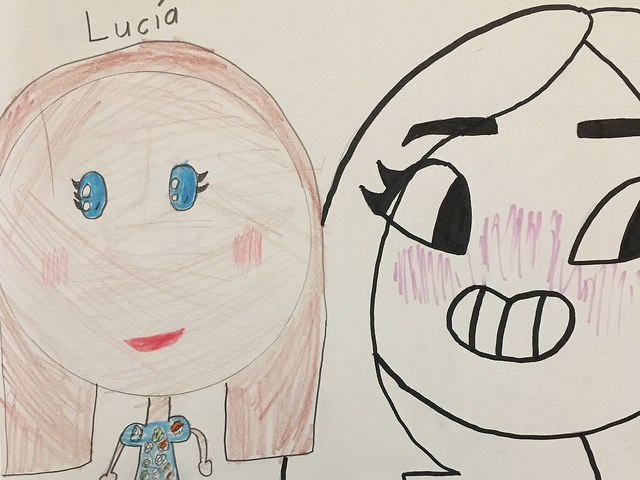 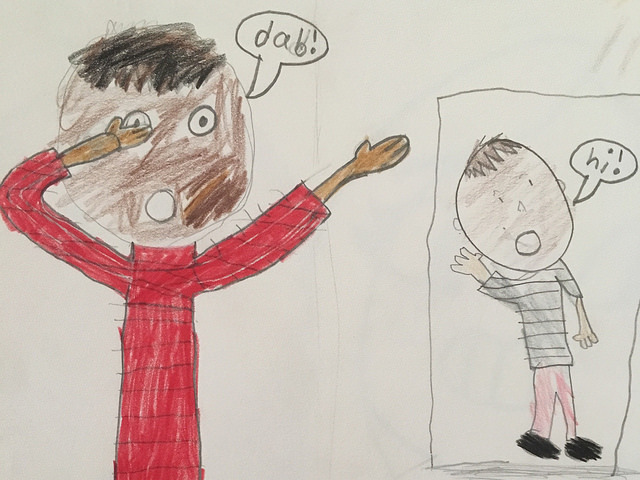 These self-portraits are currently on display in Lower Elementary.